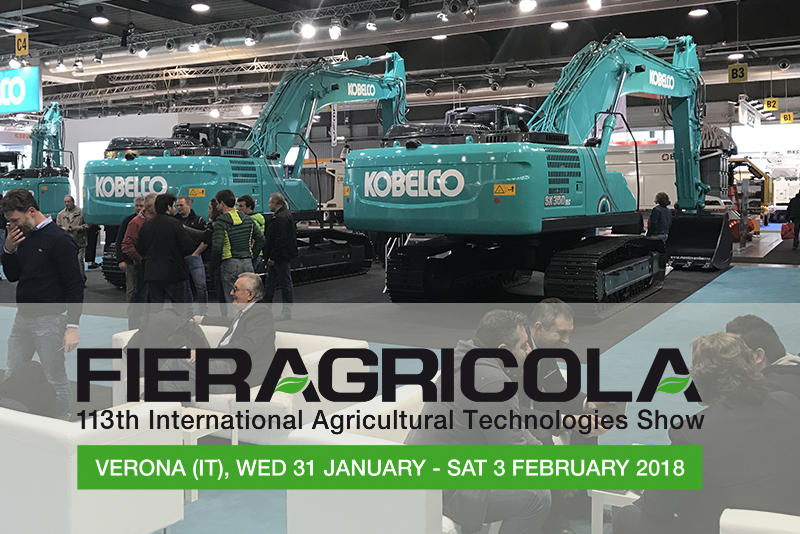 Fieragricola 2018 - Kobelco Construction Machinery Europe B.V.
Fieragricola 2018 the International Agricultural Technologies Show in Verona is taking place between 31 January and 3 February 2018. Visit Kobelco dealers stand 6 – area C3 to see exhibited mini excavators: SK10-2, SK17-3, SK28 and SK55SRX. Visit www.kobelco-europe.com/products for more information about the machines.